As a Securities Attorney and Boca Raton Probate Lawyer, Todd A. Zuckerbrod P.A. understands the complexities of managing and protecting the assets that you have accumulated over the years, as well as the pitfalls that often await the unwary. Whether your assets are invested in securities or other investment vehicles in a brokerage account, or they are included in one or more trusts for the benefit of your heirs in the form of securities, real estate, insurance products, personal possessions, and more, you want to make sure they remain safe, and appreciate in value while under management. Unfortunately, any time there is a significant amount of money involved in an investment account or trust, it can pose a temptation for the unscrupulous. Most financial advisors and trustees are honest, competent, and careful; but not all. On the other side of the coin, being a stockbroker, financial advisor, or a trustee managing someone else’s assets can put you in a position where you are blamed for losses in value or mismanagement, when in fact you have managed the funds in your care to the best of your ability. They may have been affected by a general downturn in the market or some factor that you have absolutely no control over, resulting in your being wrongly accused of breach of fiduciary duty, fraud, or some other type of wrongdoing. Money can corrupt, but money can also make people perceive possible corruption where it doesn’t exist, staining an honest fiduciary’s good name. Laws exist to protect those who trust others to handle their assets; they also serve to protect the broker or trustee from unsupportable accusations. State and federal laws set forth rules and standards by which anyone who serves in a fiduciary capacity must act. These rules and standards, as long as they are followed, protect those who entrust their assets and those who manage them; but they must be meticulously followed. Among other legal requirements, a fiduciary – whether a financial professional, brokerage firm, or trustee – must always put the interests of the owner or the owner’s beneficiaries above his own, must not intermingle funds or use a client’s funds for his own benefit, and must keep in close communication with the client or the client’s beneficiaries. Attorney Todd Zuckerbrod has served as counsel for the New York Stock Exchange (NYSE) and Merrill Lynch. Our firm has successfully handled over 100 securities arbitrations, many of which often involve millions of dollars in damages. We understand the different ways that regulators often treat the major wirehouses and small to mid-size brokerage firms. Todd is very trustworthy and professional. He didn’t always tell me what I wanted to hear, but he always told me the truth. We feel very, very fortunate to have had someone of his caliber advocating on our behalf. He was always professional, supportive, and patient, and he always stressed honesty above all else. Todd did a fantastic job of representing us! I was very pleased with his understanding, and the outcome of my case. Protecting your investments is of paramount importance. When you have already invested, or are preparing to invest money through a stock broker or financial advisor, or when you have already or are planning to put assets in trust for your heirs as part of your estate planning strategy, you will want to be working with an attorney who has experience with the requirements of the law that pertain to those who manage money and valuable assets for others. Stockbroker and investment fraud, including churning, taking excessive risks, making unsuitable investments, over concentration of a client’s account, selling away, exploiting vulnerable adults, and representing clients in FINRA arbitration, and more. Representing brokers and brokerage firms in disputes, regulatory proceedings, arbitrations, and complex litigation in state and federal court. Representing brokers in disputes with the brokerage firm that employs them. Trust litigation, including trustee misconduct, trust company violations, reformation or termination of a trust, probate disputes, and breach of fiduciary duty. Trust services, including estate planning, serving as trustee or co-trustee, and administering trust assets, to protect the interests of both grantor and beneficiaries. If you suspect fraud or financial wrongdoing, whether you are an investor, a broker, a trust grantor, a beneficiary, or a fiduciary; or if you are involved in any capacity in the financial industry and find yourself embroiled in an industry-related legal battle, contact Boca Raton, Florida, securities, estates, and trusts attorney Todd A. Zuckerbrod for ethical, skilled, and experienced legal representation that yields results. Among Probate Lawyers in Florida, Todd A. Zuckerbrod, P.A. 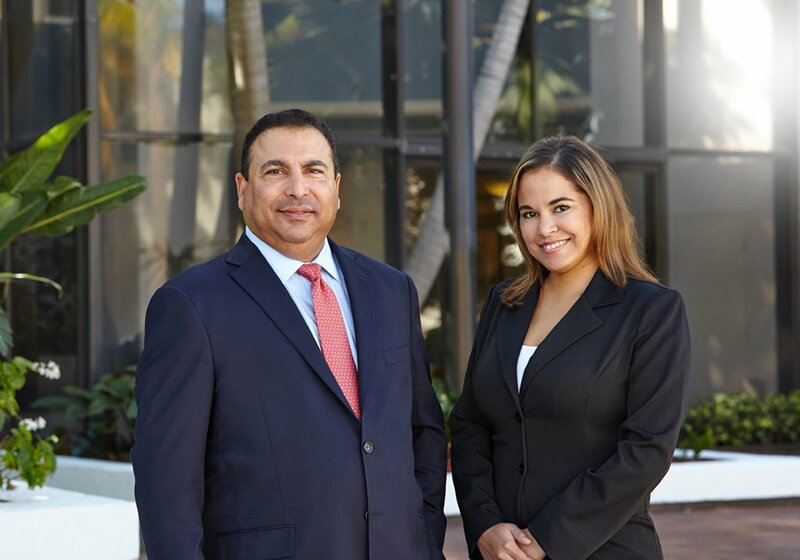 has 29 years of experience within the financial industry, a thorough knowledge of the intricacies of both state and federal law, and the integrity to ensure that you have an advocate you can trust. Your initial consultation is free, so call today to discuss your case.